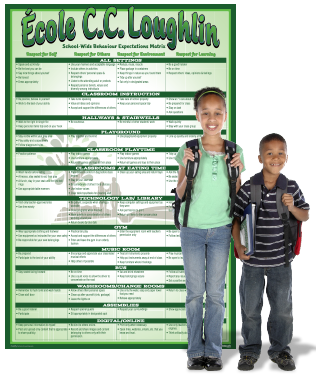 Great for display in your Welcome Center, entry way, or any high-traffic area in your school! 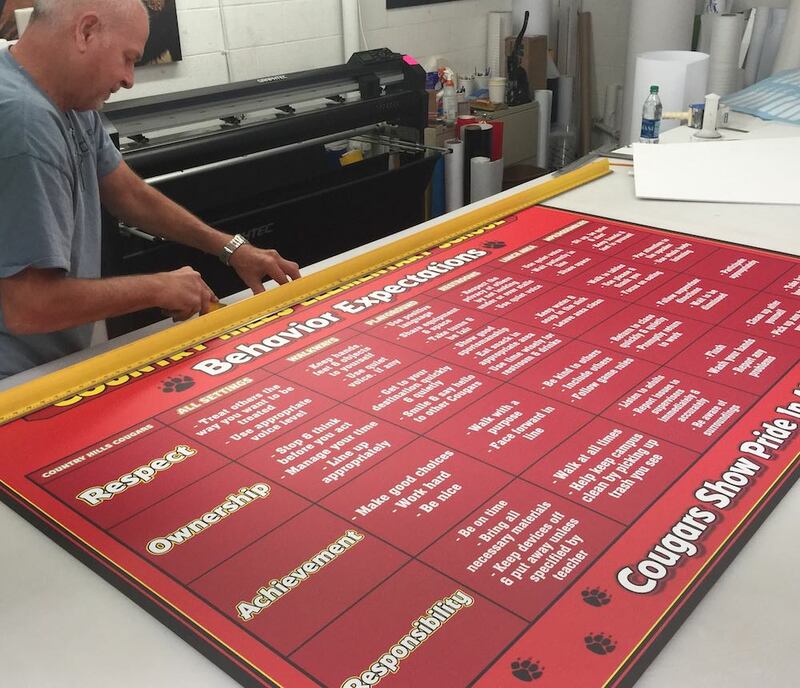 PROUDLY DISPLAY YOUR PBIS MATRIX! 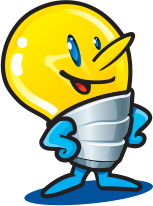 Email your school colors and mascot to pbis@pilpinc.com. • Send your matrix as an editable Word, Excel, or PDF document. 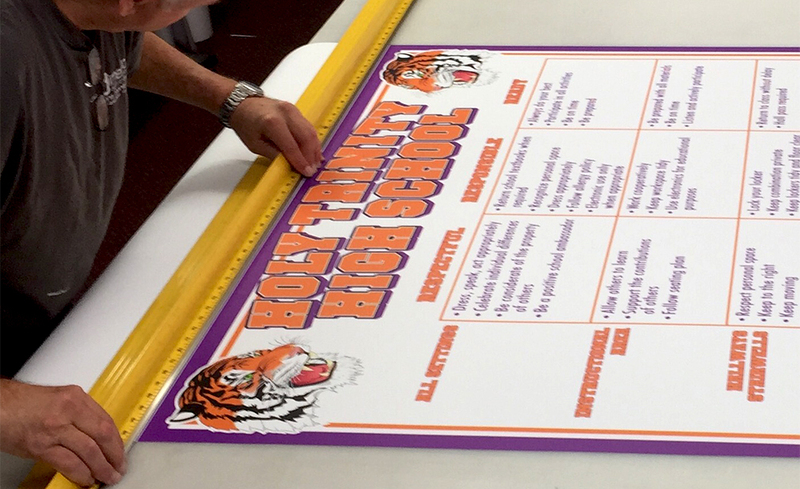 Our designers will create a custom Look & Feel layout branding your school’s PBIS program for your approval. • Should your tiger mascot to be cute or fierce? Fun and playful typography, or maybe something a little more edgy? 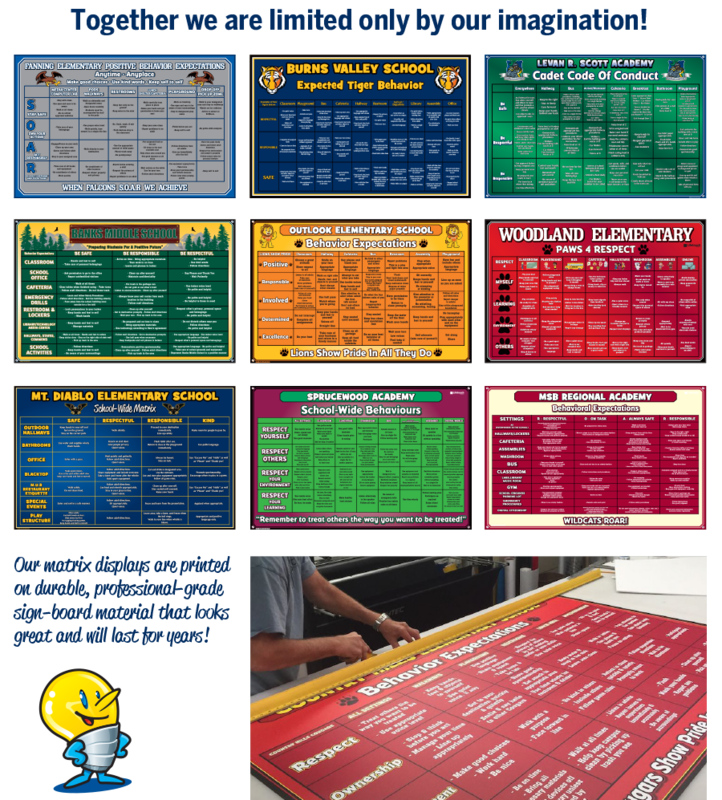 We’ll match your Look & Feel to the tone and culture of your school, from elementary to high school! Once you approve your new design, choose the right products and packages to fit your budget and school-wide messaging strategy. 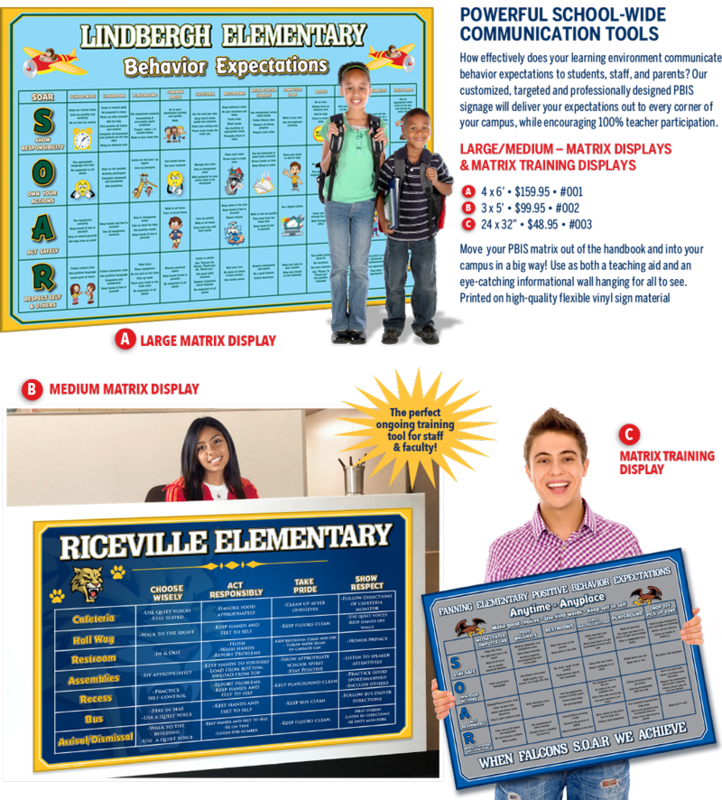 • Select one of our featured PBIS Packages, or choose the customized, targeted signage that meets your school’s unique needs.